Do you know how secure your web site is? Do you want to know? 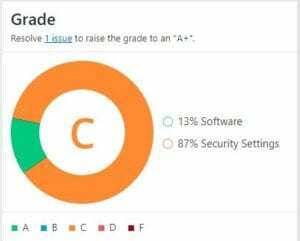 Your Web site security grade is a good thing to know. 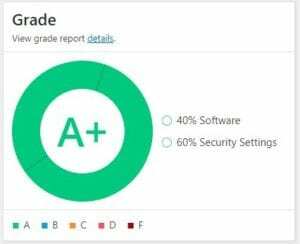 Web Site Security Grading – Now Available! In today’s environment it is not enough to think you are secure… you need to know! We have the ability to *look at your WordPress website and perform a quick security assessment. * Requuires the installation and running of a plugin. We can then take the opportunity to tune your website for enhanced security. Each review will give you a detailed report of item reviewed, where you stand, and possible updates / modifications. There is not obligation to have us perform any of the work – you pay for the review and the results. What you do afterwards is up to you. We have made it easy for you to Contact Us!